Published Apr 11, 2017 by Sams. Part of the LiveLessons series. Learn, start-to-finish, how to create your own Universal Windows Platform (UWP) apps for business or consumer use. Build adaptive UI with XAML for a range of devices with different form factors and Windows 10 versions, and learn to use a wide range of evolving UWP capabilities. Universal Windows Platform (UWP), introduced in Windows 10, is a common app platform used for development, deployment, and running of software on a variety of Windows devices. 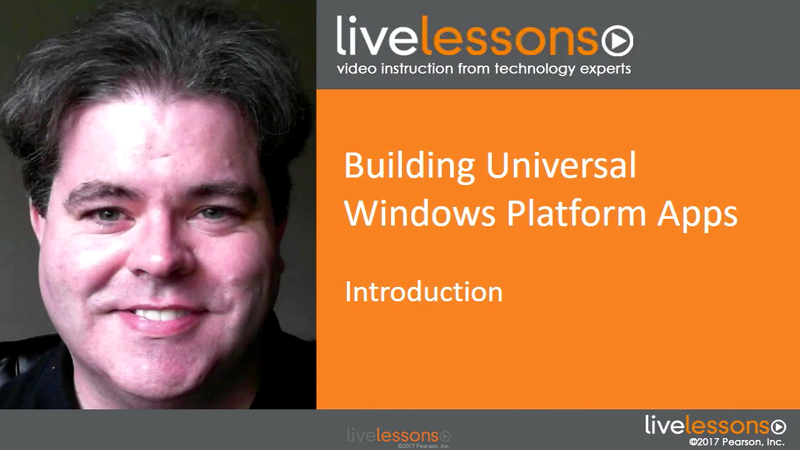 Building Universal Windows Platform Apps LiveLessons video training shows the foundation of UI building as well as how to adapt the UI on the fly to different device formats. Learn how to use major features of the platform to further engage users, leverage development tools, and get an application ready for deployment.